This has been a difficult project but I am happy with the results. This is my attempt of my photo gallery. 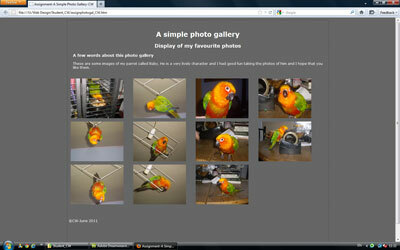 The photos are of my pet parrot Baby. He is a Sun Conure parrot. 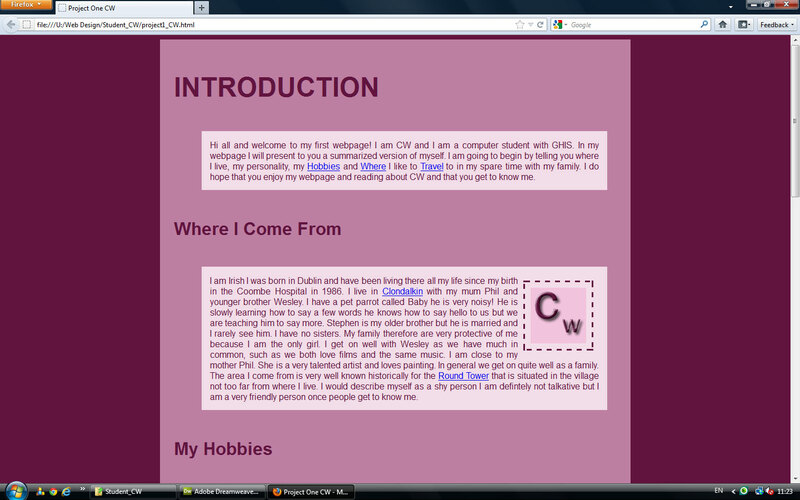 This is my attempt at using Videos and Audios in a webpage. 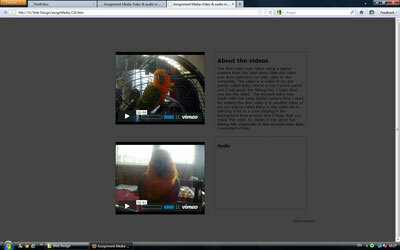 The two videos are of my pet parrot called Baby and it was great fun filming him.